Women who take control of their health empower themselves to live longer, disease-free lives. A lifetime of good health starts with prevention, including annual wellness exams and screenings. 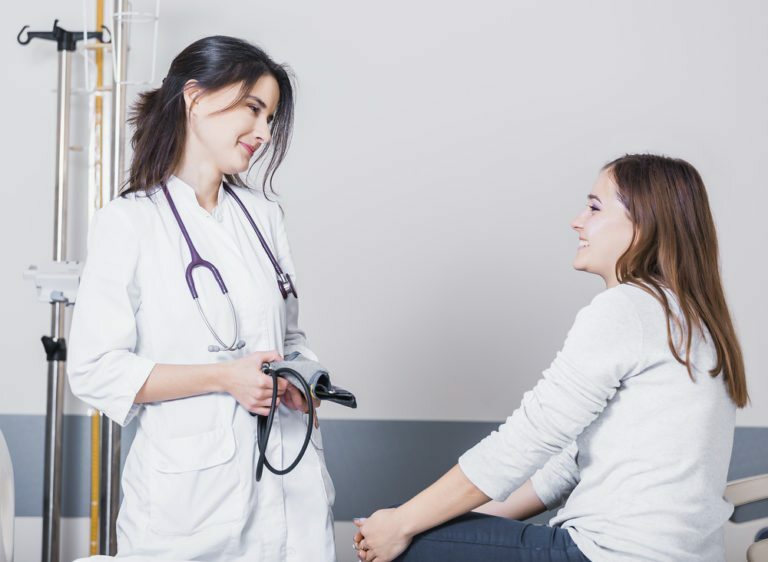 A women’s health doctor can be your greatest partner in prevention, offering you advice for healthy living and providing important screenings designed to identify complications and illnesses during their earliest stages. From adolescence to post-menopause, a woman’s health demands care and attention at all stages of life. that female health screenings have significantly reduced the number of deaths from certain diseases, such as cervical cancer? Unfortunately, not all women adhere to guidelines for health screenings such as mammograms and pap smears. The Centers for Disease Control reports that only 67 percent of American women over age 40 have had a mammogram to screen for breast cancer in the last 2 years, and about 73 percent over age 18 have had a pap smear in the past 3 years. But periodic screening can identify cancer at its earliest stages, vastly improving long-term prognosis and 5-year survival rates. I consider myself healthy. Should I be seeing a women’s health doctor? Yes. Women’s healthcare is for all females of reproductive age or older. If you are healthy and symptom-free, your doctor can help keep you that way with periodic screenings, immunizations, and advice for healthy living. Keep in mind that sometimes underlying health problems present no symptoms at all; so it is important to see your practitioner each year for a routine wellness exam. What should I expect during a visit to a women’s health doctor? The components of your visit will vary according to your age. Young women, for example, require annual pap smears, pelvic exams, breast exams, and possible immunization against HPV. Ladies over age 25 may begin to get pap smears less frequently, although they will begin mammogram screenings by age 40. Your doctor will also speak with you about your health concerns, risk for certain diseases, and contraception needs if applicable. Will I need to follow any special instructions between visits? Possibly. Every woman is unique, so only your doctor can tell you whether you need to make changes to your lifestyle or eating habits following your appointment.